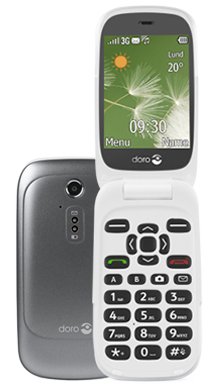 In 2008, the mobile phone company Doro came onto the scene following their recent success in the telephone industry. Back in those days, the mobile phone wasn’t as anywhere near as advanced as it is now. However, this wasn’t going to stop Doro, and they charged onto the scene with the intention of making it big. Their experience with communication and a customer service approach which was well cultivated meant that they could compete with some of the already established businesses, and this was something they did and did well. Over time, their range of mobile devices which were affordable, practical and functional has developed into one of the most accessible set of devices available. Doro isn’t known for complex components and fragile phones. Instead, they’re known for being the creators of long lasting and highly durable machines. All of their devices have the same excellent level of quality, without needing to break the bank in the meantime. They’ve cultivated a very tidy niche for themselves which still manages to appeal to a broad selection of people. The primary audience of Doro is those people who aren’t swayed by the promise of superior connectivity and a multitude of functions. Some people do wonder why the mobile device had to get so complicated, and why it was suddenly so fashionable to have a sophisticated phone that did all kinds of new and exciting things. These are people who don’t look for this in their mobile device, and instead search for something which is more sensible and easy to use. They prefer a simple and stripped back device which concentrates on a few different things. These are often tradesmen who can’t afford to have a phone break or someone who just wants a basic phone for texting and calling. A big part of the appeal of a Doro is how much they can serve the elderly. We all know that when you get a bit older, it can be more challenging to keep up with the different styles of mobile device and all the features. That’s why phones made by Doro have been designed to have larger buttons and a mode to help the hard of hearing. Couple this with a battery life which has been proven to be a great help, and you get a device which is going to be perfect for a lot of people. Furthermore, there’s also an assistance button which is built into a lot of models. Doro themselves clearly took the time and effort to figure out exactly what would be helpful for someone who’s a bit older and perhaps not as confident out and about as they used to be. 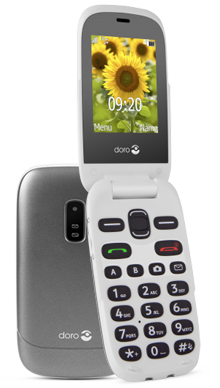 These phones are perfect for someone who’s perhaps under a bit of pressure from worried family members to stay in contact, and it is the hope of Doro that they can, in fact, make all the difference for people. Here at Fonehouse, we’re committed to providing you with nothing but the very best in mobile devices and deals. We understand that you look for a particular level of service when you shop for a new pay monthly deal - you have expectations and want them to be met. We aim to do this every time, and that’s why we’re continually striving for ways to provide you with a whole host of different options and choices for your mobile deal. To try and help realise this goal, we’ve selected two different companies to partner exclusively with, and they are Vodafone and EE. After a lot of deliberation and careful reviewing, we came to the conclusion that these two companies share our vision for a higher level of customer service and satisfaction. They’re two companies which have a long history of making sure that customers get what they rightfully deserve. Plus, between them you’re guaranteed to have network coverage no matter where you go - between them they provide signal to the entire country. Both EE and Vodafone have worked with us to make sure that we can offer you a range of different deals, and this has shown in the variety and multitude of packages we can provide. You can get varying provisions of free internet, texts and calls for you to work with, along with a slew of additional benefits. This includes such things as Apple Music and BT Sport, which just serve to sweeten the deal for any new customer. What we really do admire about these two companies is how committed they are at providing customers with a top level of service. We searched for companies which would operate at the same high standard we endeavoured to hold ourselves to, and we’re so pleased to be working with the partners we’ve got. They’re professional and committed through and through. Of course, don’t be fooled. They are not the only companies which have strived to offer you extra bits and pieces to make your deal a great one - we’ve thought about how we can help too. That’s why we offer you one of our more enticing benefits. When you’ve figured out which handset you want, and you've looked through the deals to find the one which meets your needs and specifications, you can get your device delivered to you on a next day delivery service. We’re so proud of our service, because not only can you be opening your brand new phone the next day, it’s also free of charge to get. Pretty great, right? So, if you’re looking to ask some questions, and find out more about a particular deal, then please do not hesitate to contact a member of the customer service team. Our staff are more than happy to sit down and talk to you about the different kinds of deals, what you can look forward to with every deal, and also help you to marry up to the ideal arrangement for you. We love the chance to chat to customers and help them pick the right deal, so don’t hesitate to come and contact us on 0333 800 1133.